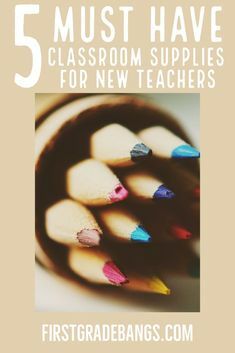 Before I start back to school full-time (ahem- tomorrow morning), I wanted to share with you some fun activities I have planned for our first math unit this year. 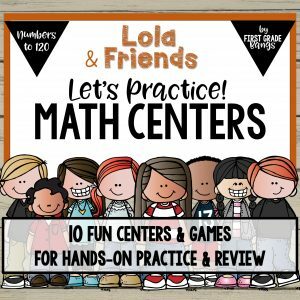 This year is going to be a new adventure for me because I decided to jump in with both feet into the world of GUIDED MATH. 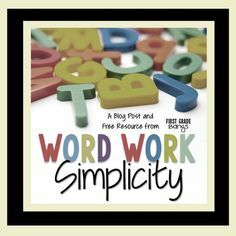 I LOVE meeting with my students in small groups for guided reading, and I LOVE teaching math, so putting them together is like …..discovering how heavenly french fries taste dipped in mayo. 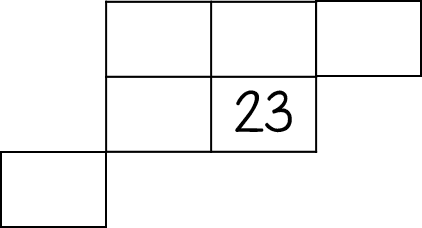 Let’s get back to the real focus of this post…. 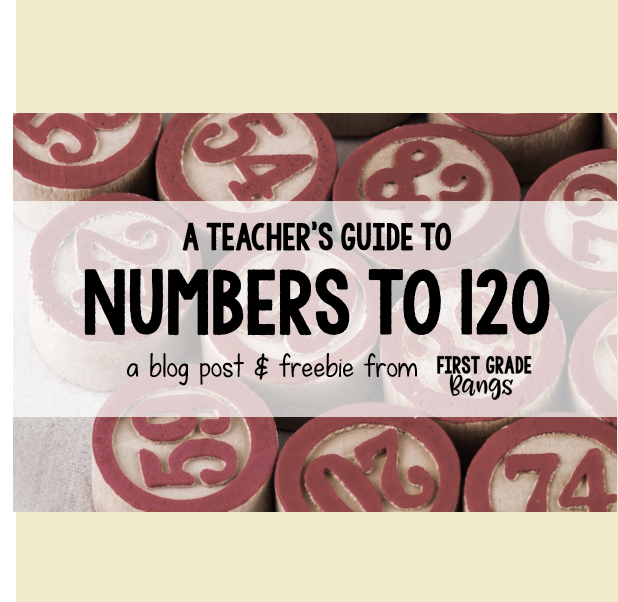 1.NBT.A.1 Count to 120, starting at any number. 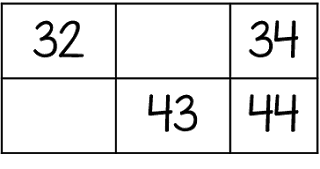 In this range, read and write numerals and represent a number of objects with a written numeral. 1.NBT.B.2 Understand that the digits of a two-digit number represent amounts of tens and ones. *I usually focus only on mentally finding 10 more, or counting on by tens, in this unit. We save the rest of this standard for our place value unit a little later in the year. 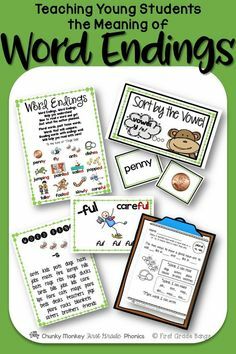 One of my very favorite ways to let kids practice some of these skills is to take a 120 pocket chart and dump it out. I let a small group of students work together to put the cards back where they belong. Now, I don’t just walk away….I watch them. I listen to the reasoning they use with each other. And I take notes. 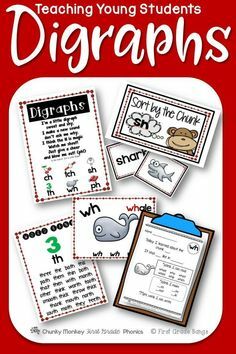 I can tell from this simple activity who understands the patterns in the 120 chart, and who still needs to develop their understanding. A shorter, simpler version is to simply take SOME of the cards out. 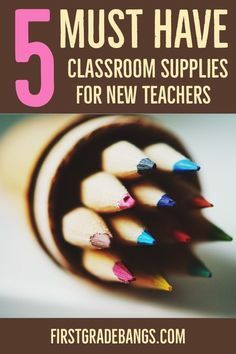 They could be randomly placed, or they could be all in one row or one column…whatever you want to observe with your small group of students. The most important tip I can give you is to make sure they are TALKING about what they are doing. They should be thinking aloud so you can follow the connections they are making. 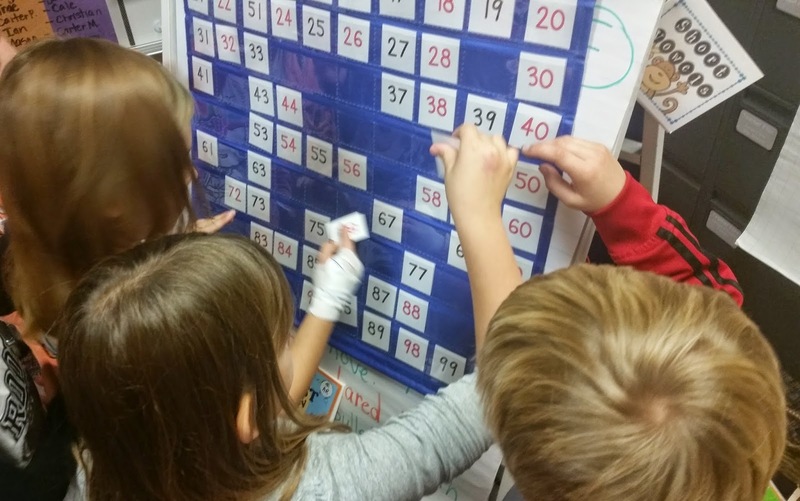 When students get really good at placing numbers in a 120 chart, they are ready for number puzzles. 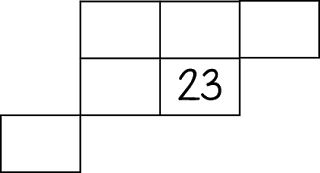 Number puzzles are simply pieces cut out of a number chart that have missing numbers. 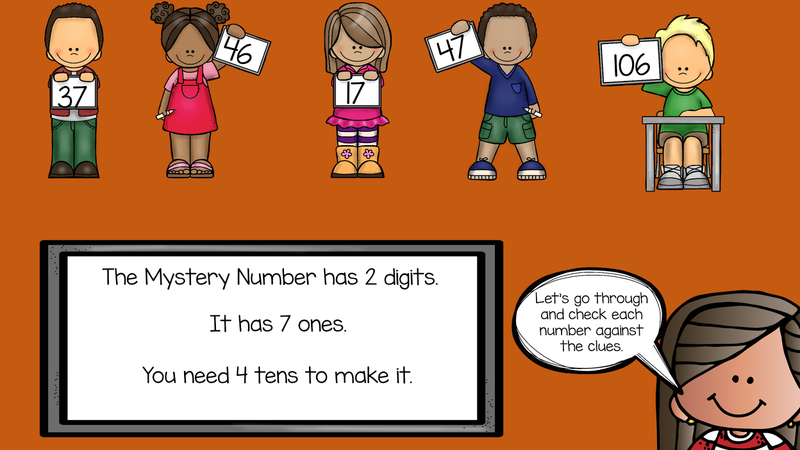 Students need to use what they know about number patterns to complete the puzzle. 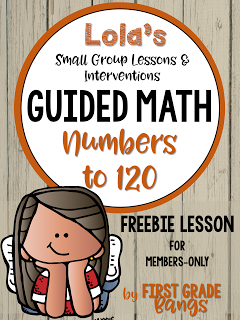 Then check out this free guided math lesson, complete with quick checks and two practice pages full of number puzzles your students will love! After mastering the patterns in the 120 chart, we work on starting at any number and counting on by ones or by tens. 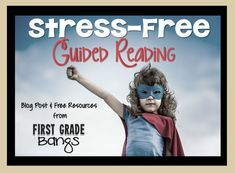 Not an easy task for most students, but with lots of practice, they can do it! 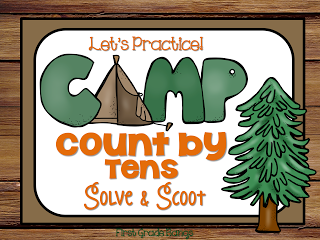 Here is another freebie for you- this one is a Solve and Scoot game that focuses on counting on by tens. And lastly, we practice number riddles to describe numbers….first Lola and I give the riddles and the students solve them, then we switch and the kids get to make their own number riddles! 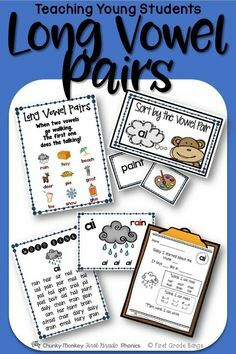 This is another great way to assess their understanding. 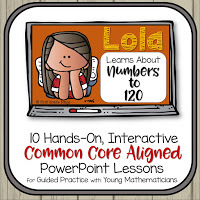 Most of you know I created a line of PowerPoint guided practice math lessons. 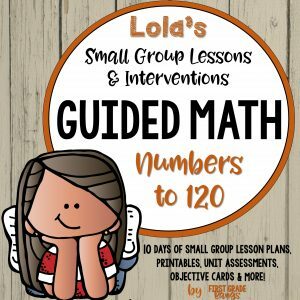 Lola’s lessons have been a staple in my classroom for the past two years. 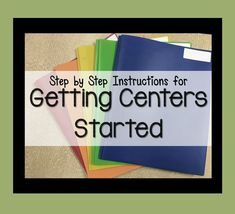 We use them to introduce, model, and practice each day’s skill with hands-on materials and step-by-step instruction. 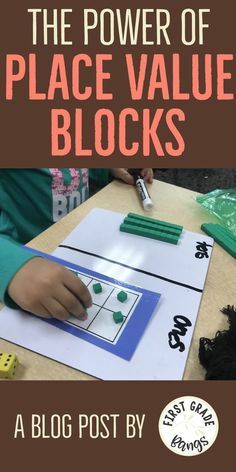 I’ll be back in a couple of weeks to talk about Addition to 10…building the foundational understandings students need before moving on to adding higher numbers.